The Napoleonic Wars of the early 1800s pitted Great Britain against France. America tried unsuccessfully to remain neutral. Both the warring countries harassed U.S. ships, but Great Britain, in particular, stopped American ships, interfering with trade. British fleets even seized American sailors, forcing them to serve the Royal Navy. Americans were angry. They had struggled hard for their freedom. However, people living in the Northeast wanted peace. Many of these people made their living by trading on the sea. The most vocal advocates for war lived in the South and West. President James Madison asked Congress to declare war against Britain on June 1, 1812. The U.S. had a navy of only 16 ships and an army of 7,000 men. The country was ill-equipped to go to war. Madison felt pressure from “war hawks” in the West and South. These groups hoped to take Canada from Great Britain through war. At the time, Britain actively encouraged Indians to wage attacks on frontiersmen. These groups were hopeful that a war would end Britain’s alliance with the Indians once and for all. Despite a lack of resources, the U.S. won five of the six major battles of the War of 1812. However, the country didn’t achieve its goal of gaining Canada. The British invaded Washington D.C., burning it to the ground. Dolly Madison, President James Madison’s wife, took valuable paintings and historical papers from the White House before it was burned. Francis Scott Key wrote the “Star Spangled Banner” as he watched the battle of Fort McHenry. Question: Did the British or Americans win the War of 1812? Answer: Neither. The United States was running out of money and the British were tired of fighting. On Christmas Eve, 1814 in Belgium, negotiators from both countries signed a peace treaty. This was before telephones or email and word that the war had ended came slowly. General Andrew Jackson hadn’t heard that the war was over and led his troops to fight against a British invasion at New Orleans on January 8, 1815. His army achieved a great victory, which made Americans feel proud. 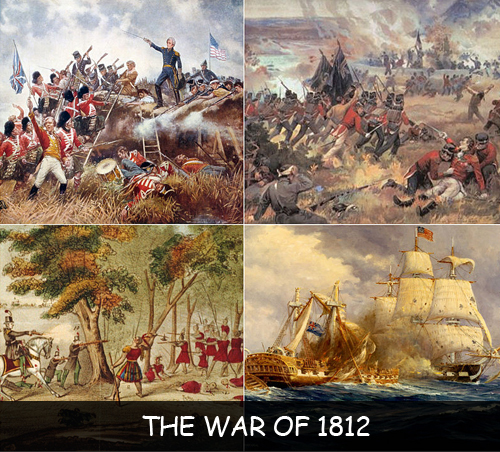 Visit PBS to learn more about the War of 1812.